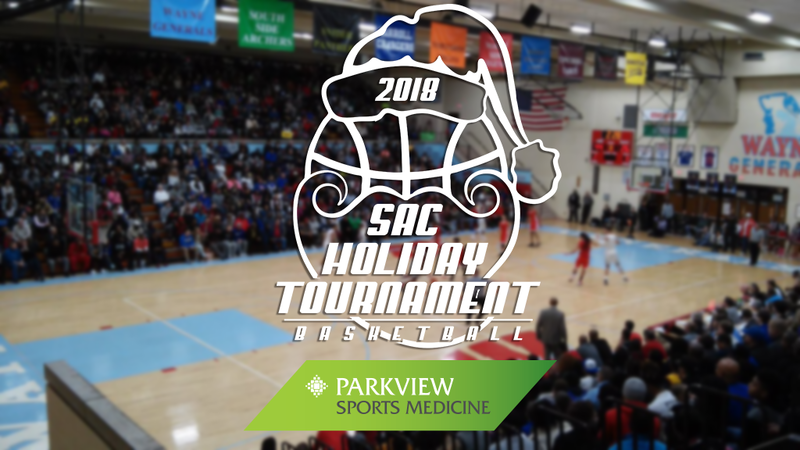 Keep up with the entire 2018 Parkview Sports Medicine SAC Holiday Tournament with the Tournament Central page. FORT WAYNE, Ind. 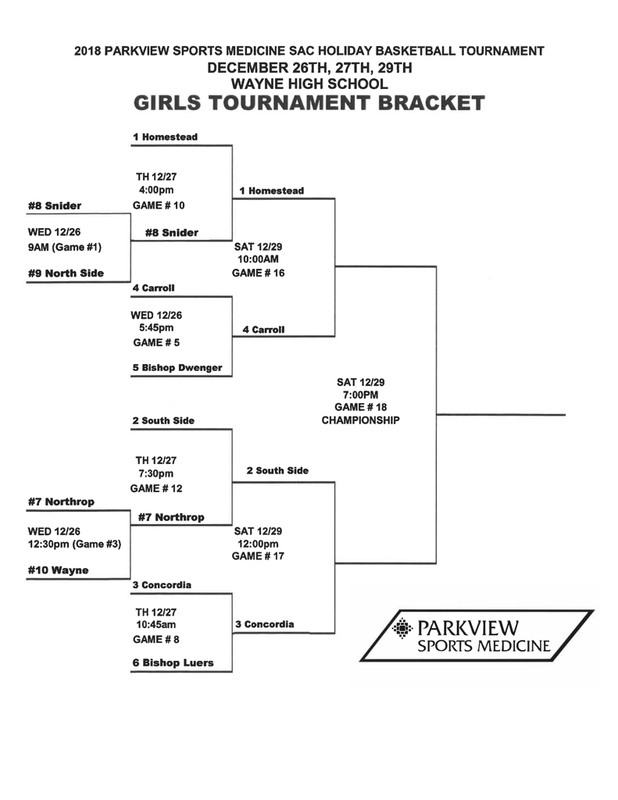 - The Summit Athletic Conference unveiled Tuesday both the boys and girls brackets for the 2018 Parkview Sports Medicine SAC Holiday Tournament. 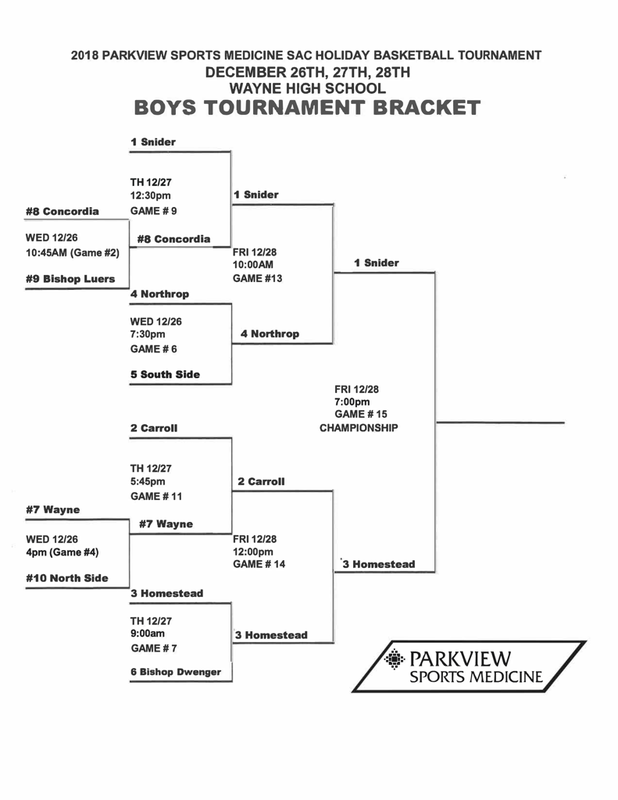 The annual tournament, sponsored by Parkview Sports Medicine, will be played Wednesday, December 26, through Saturday, December 29, at Wayne High School. Particularly, the boys championship is set for Friday, December 28 at 7 p.m. The girls championship will tip off December 29 at 7 p.m. Session tickets will be sold each day for $6. All-tourney passes are $25, and will be sold Wednesday and Thursday only. Preschool age children and younger will be admitted for free, tournament officials say.